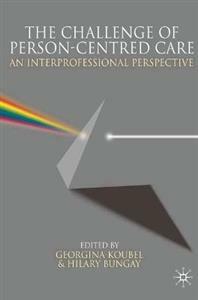 This impressive book brings together two major tenets of modern healthcare: person-centred care and interprofessional working, in order to utilise different perspectives on practice to identify the best treatment for the individual. In a three-part structure covering theory, ethics and practice, The Challenge of Person-Centred Care provides: *jargon-free explanations of the role of person-centred care for each professional group *clear advice to prepare students for practice *numerous case studies and scenarios to illustrate how theory can be applied As a text that engages readers in ethical and moral debates, The Challenge of Person-Centred Care is an essential resource for health and social care students and practitioners. By inspiring critical thinking and reflection on the varied practice roles, it contributes towards improving patient experience in the future.